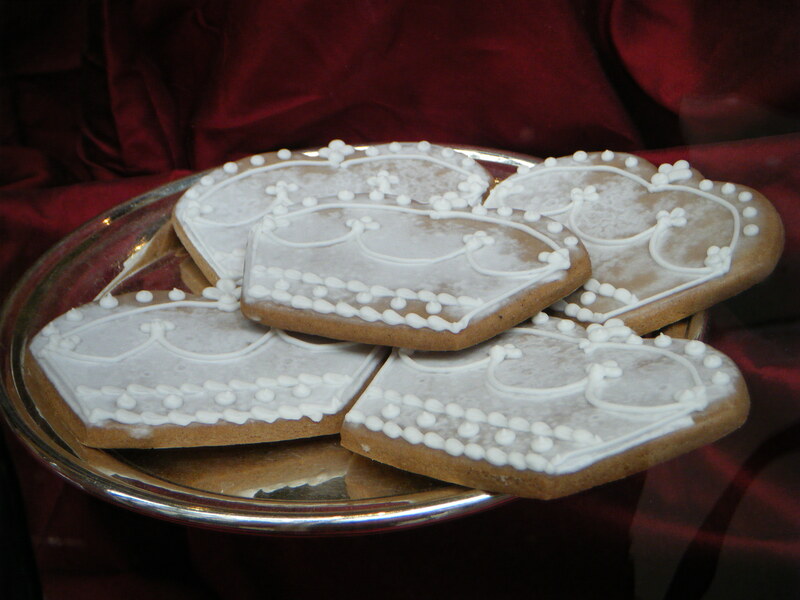 What do Betty’s Tea Room in York, England and Simply Biscotti, the independent coffee/bakery/bistro in Little Italy in Ottawa, Ontario in common? 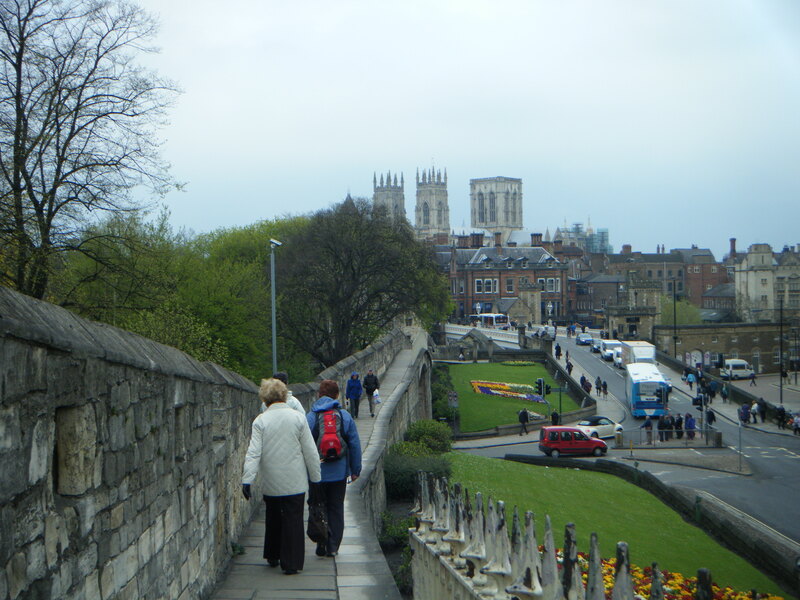 A good walk from the Bed & Breakfast to and around the York City Walls that are mostly still standing and surrounding the old city of York. York has more intact city walls than any other city in England. The walls date back to Roman times. 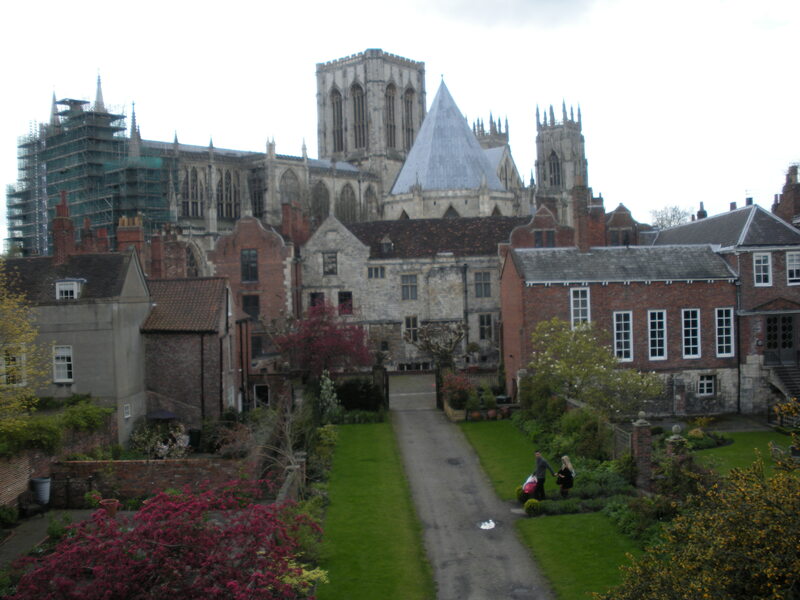 Below is York Minster as seen from the wall walk. The cathedral is being repaired as you can see. A message inside the cathedral spoke to the daily cost of maintaining the cathedral-some huge number that (a) I can’t remember accurately and (b) made me happy I wasn’t in charge of fundraising for the parish. As for Betty’s Tea Room, it is an institution apparently. It has been around for almost 100 years (first opened in 1919). Six of us met at Betty’s for tea one afternoon. I enjoyed a Fat Rascal scone with preserves and clotted cream (of course). I can see why they have named the Fat Rascal as they have-eat enough of them and you become one. 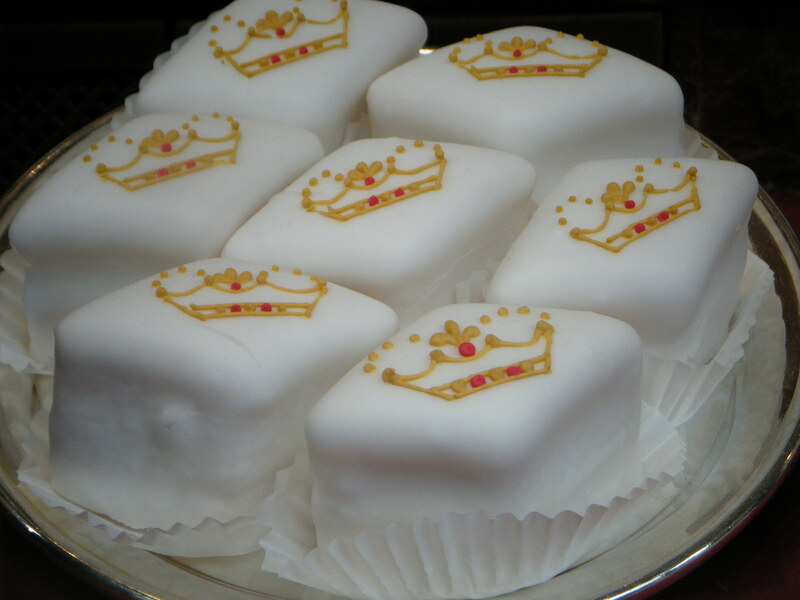 And finally thought you might enjoy seeing how the Queen’s Jubilee is being celebrated in baking. 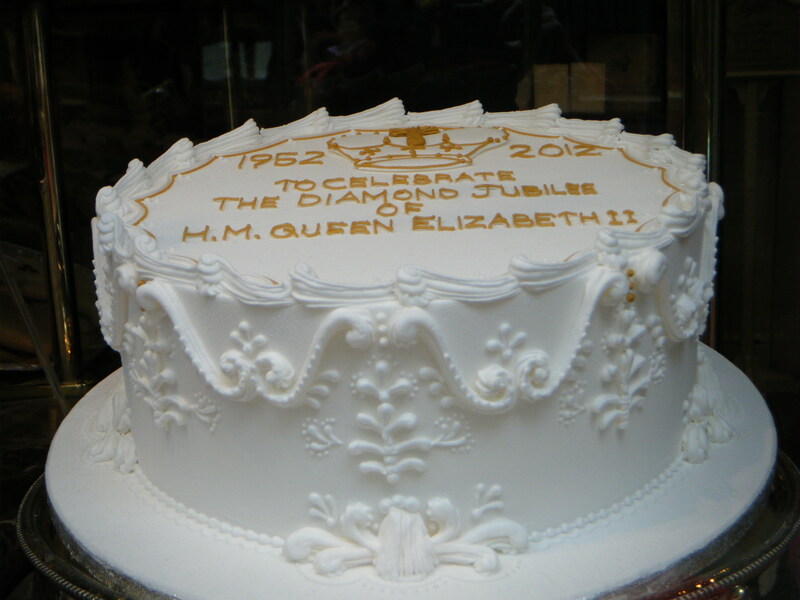 We never did eat a Jubilee item. They look as if they are more for show than eating. Have you been to York? What were the highlights of your visit? The Jorvik (Viking) Centre? The British Railway Museum? A Fat Rascal with clotted cream?